With Motheo Construction we ran three projects at three different construction sites around Johannesburg, South Africa to deliver a full Construction Qualification; National Certificate: Community House Building, over a 12 month period. For each project, Arc Skills recruited unemployed youth from local communities closest to each of these constructions sites as community development initiatives, with as close as possible 50% male / 50% female (enhancing woman in construction) split. Through our unique TVET on Wheels solution, we set up temporary training centres on live construction sites. 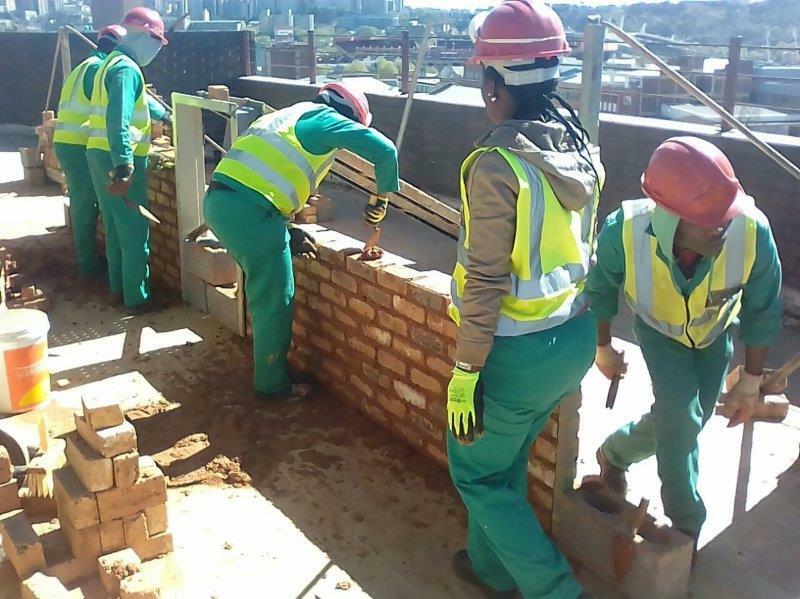 This method means learners received theoretical & practical training as well as building simulation and workplace experience on a full range of skills from masonry to roofing, carpentry, plastering, painting, foundations and even basic plumbing. Students graduated at the end of April 2018 and the top students were offered a place on a 4 week construction entrepreneurial course where they were shown how to set up their own sub-contracting business, while other students were employed by the host company and their sub-contractors. Skills taught: Construction Qualification- Foundations, masonry, plastering roofing, carpentry, painting and basic plumbing.